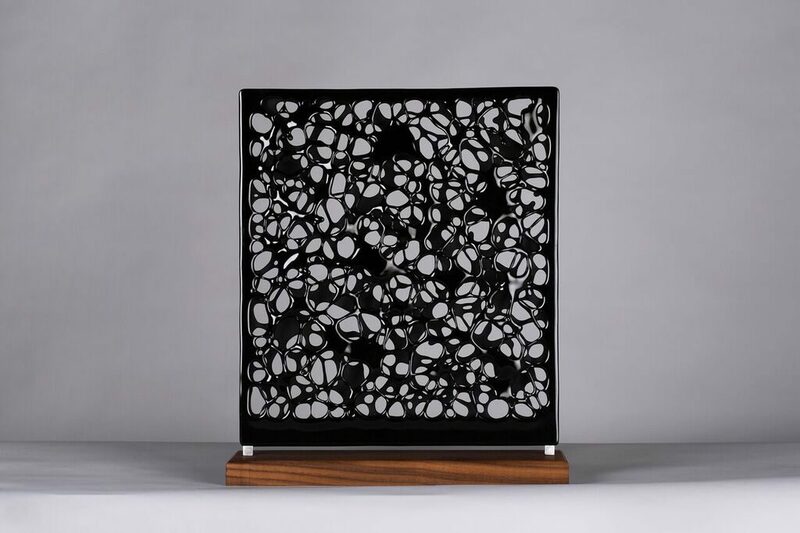 'The ‘Fragile Lace’ series continues her fascination with the erosion of solid forms disintegrating over time as they become ever more delicate and fragile, whilst transforming into an absorbing lace-like structure. 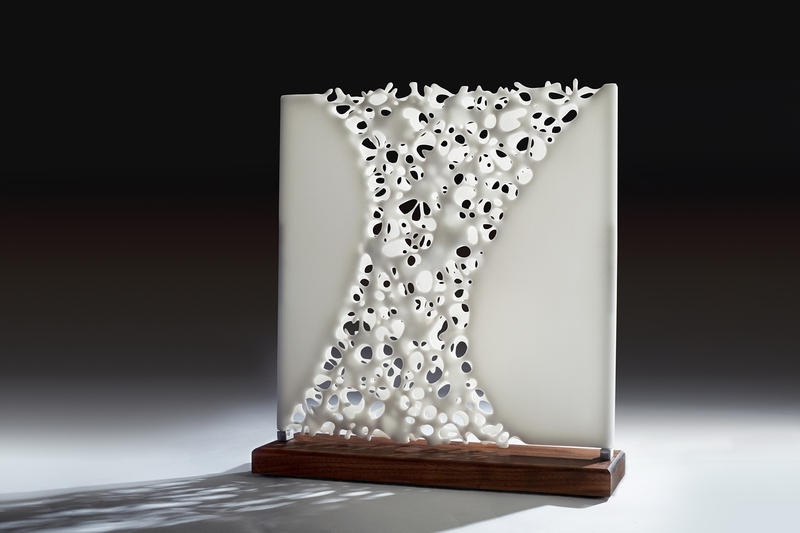 Her new work is inspired by fragile bone-like structures. 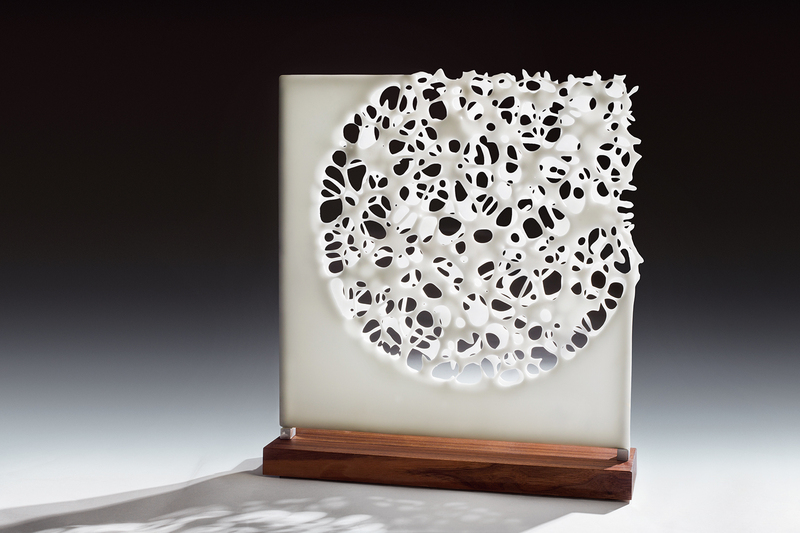 Tracy studied Glass and 3D at Richmond School of Art and UCA Farnham, where she gained a distinction in MA, Contemporary Crafts – Glass. She was selected to be in the British Glass Biennale, Stourbridge, International Glass Art Exhibition, Zwiesel, Germany, Glassfest 2012, and 12th Festival of Art Glass, Karlovy Vary, Czech Republic. In 2011, she had a two-person show with Geert Decloedt at Agnis Fine Art Gallery, Maastricht followed by‘Melt’ at The Gallery at London Glassblowing, London and 4th International Glass Exhibition, Luxembourg. She continues to be a regular exhibitor at the British Glass Biennale, Stourbridge.